Over the last 20 years or so, numerous studies from around the world (mostly in developing nations) have confirmed the dramatic decrease in breast cancer rates due to intensified breast cancer screening programs. The ‘recall rate‘ refers to the number of women undergoing breast cancer screening who are asked to come back for a second screening, as something unexpected and potentially cancerous was detected on the first screening mammogram. The recall rate is not the same as the ‘detection rate‘ for breast cancer, (which is usually a few percentages lower), and most ‘second evaluations‘ confirm the presence of benign breast disease only. Being recalled certainly doesn’t mean cancer was detected. This page is still has great information, however I have created a newer page with more up-to-date information on Breast Cancer Screening. Check it out! The table below gives typical breast cancer screening results for women age 50 and higher, in Canada, U.S., and the U.K. The recall rate and detection rate are compared to determined the “positive predictive value“, which statistically shows the proportion of true cancers as compared to the recall rate. Confusing table, I didn’t actually look at it. The recall rate after the initial breast cancer screening varies between about 7 and 13 percent. For subsequent mammograms, (either every year, 2 years, or 3 years) the recall rate seems to vary between 3.6 and 8 percent. From these statistics one could approximate the breast cancer detection rate through screening of women over 50 to be around 0.7% but it depends on the screening interval. The longer the time interval between screenings, the greater the likelihood of finding breast cancer. For yearly screening the cancer detection rate is between 0.5 and 0.6 percent. For the 2 year screening it increases to 0.65 to 0.85 percent, while a three year screening interval detects cancers at a rate of 1.0 to 1.3%. Studies like these attempt to help determine the ‘ideal‘ interval for breast cancer screening, which should really be shortened as women get older. As medical experts attempt to find the most economical and practical methods of breast cancer screening, one of the factors they consider is the ‘sensitivity‘ of the recall rate. But with respect to recall rate, what the experts are trying to establish is the best interval between screening, based on a woman’s age as well, in which the recall is not a false effort and unnecessary expense, but actually identifies breast cancer. (Given the expense of thousands of screening mammograms, this is a reasonable goal). They have found that recall rates of about 5% tend to have the best ‘trade-off‘ in terms of sensitivity and the positive predictive value for breast cancer. This would tend to correspond, very generally speaking, to a ‘subsequent‘ mammogram screening interval of 2 years or between one and two years. Canada. Age 50-69, every 2 years. A recent Canadian Screening Program, for women aged 50-69 and screened at a 2 year interval, yielded the following results. In this case, the statistics are “of confirmed, initial detected cancers“. The early stage DCIS cancer is just under 18%, with node negative status as about 77%. The rate of DCIS (Ductal Carcinoma In Situ) tends to hold firm at around or just under 20% of breast cancers detected in screening mammograms. This is another large and slightly controversial issue, as many studies have shown that DCIS is often over diagnosed and over treated, but we do see that just over 3/4 of invasive breast cancers detected after a two year interval remain with a node negative status, which means they are very likely to be curable. Recent studies combining Canadian, American, and European statistics reveal an interesting perspective on the DCIS to invasive cancer ratio for initial detected cancers. The chances of detected breast cancer at either an in situ or minimally invasive stage is much higher with annual screening, rather than at a three year interval. The ‘not-yet-invasive‘ DCIS rate is about 30% for women screening starting at age 40, and annually. This is a considerably higher (and thus better) rate than the all-age average, thought to be just under 20%. The tumor diameter is also found to be less than 10 mm at a considerably higher rate. The European statistics, with screening every 2 to 3 years, shows approximately a 15% increase in invasive cancers, and approximately a 20% increase in tumors larger than 10 mm. Breast cancers are mostly curable, even when an invasive tumor is over 1 cm in diameter, but if they can be detected at a minimal or in situ stage, the cure rate can actually be around 95% or more. Voluntary compliance to breast cancer screening programs, in terms of having it done regularly and at the recommended interval, is still an issue. Overall, the percentage of women aged 50-75 who have ‘up-to-date‘ mammograms is just over 80%, which is quite good. Factors associated with non-compliance to annual screening programs tend to be lower level of education, lover household income, and younger women. It is always best to catch breast cancer at an early stage, and usually close to 90% of breast cancers detected in screening mammography or found at earlier stage. However, the rate of women diagnosed with higher grade (stage III and stage IV) breast cancer has tended to remain stable at between 10% to 12% of detected cancers, even with increased participation in breast cancer screening programs. It could be that there is a certain sub-set of the female population that consistently finds it more difficult to adhere to screening programs. Studies again suggest that women older than 80 years of age, and women from lower income families, and also certain minority groups consistently find annual compliance to screening mammography more difficult. Hence, these groups tend to be among those who develop more advanced breast cancers by the time they are ultimately discovered. It is also worth noting that these same groups (women over 80, lower income, minority race) have also tended to have a higher frequency of health care visits, but these visits do not tend to include clinical breast exams and mammograms. The relationship between screening interval, recall rates, and breast cancer detection rates in terms of an ultimate reduction in deaths due to breast cancer is difficult to quantify. However, if one considers a recent Norwegian Study informative, mortality due to breast cancer may be reduced up to 10% as a direct result of breast cancer screening. To put it another way, a certain number of women will always develop breast cancer; screening programs does not change the factors and circumstances which bring about breast cancer development. But, most breast cancers are curable, and participation in breast cancer screening programs may be estimated to increase the chance of breast cancer survival by about 10%. What if something looks abnormal on a mammogram? Potential abnormalities are found in 6% to 8% of women who have screening mammograms. This small group of women needs further evaluation that may include diagnostic mammography, breast ultrasound or needle biopsy. After the additional evaluation is complete, most of these women will be found to have nothing wrong. How does an abnormality appear on a mammogram? A potential abnormality on a mammogram may be called a nodule, mass, lump, density, or distortion. They may look like a 1) mass (lump) with a smooth, well-defined border – this is often benign (non-cancerous). Ultrasound is needed to characterize the inside of a mass (ex. if the mass contains fluid, it is called a cyst). 2) A mass or lump that has an irregular border or a star-burst appearance (spiculated) – this may be cancerous and a biopsy is usually recommended. Microcalcifications (small deposits of calcium), are another type of abnormality. They can be classified as benign, suspicious, or indeterminate. Depending on the appearance of the microcalcifications, a biopsy may be recommended. How accurate is mammography? This type of screening is 85% to 90% accurate. Those adds may improve with more widespread use of three-dimensional mammography. Mammograms have improved the ability to detect breast abnormalities before they are large enough to be felt during a breast examination. However, it is possible for a mass to be felt but not appear on a mammogram. Because of this, your health care provider should evaluate any abnormality that you feel when examining your breasts. A diagnostic mammogram or biopsy may be recommended. What are some benefits of mammography? Better survival rates, and better quality of life. In most cases, the earlier a cancer is detected, the better your chance of survival. Research has shown that women who have regular mammograms are more likely to beat breast cancer. Early detection may also mean less treatment and less time spend recovering. Research has proven that breast cancers detected in women who h ave regular mammograms are on average smaller and more treatable. What are some risks of mammography? False positive results may happen, as well as false negative results, over-diagnosis, and increased exposure to harmful procedures. Ex. very low doses of radiation from x-ray tests. National Breast and Cervical Cancer Early Detection Program (NBCCEDP). United Kingdom: National Health Service Breast Program (NHSBP). 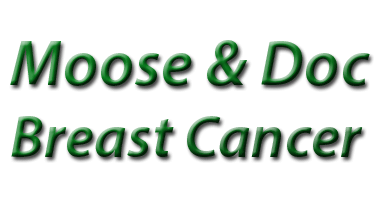 Canada: Canadian Breast Cancer Screening Program (CBCSP). National Guidelines Clearinghouse, Guideline Synthesis, Screening for Breast Cancer. Couture D, Le Cancer du Sein en Radiologie, Canadian Association of Radiologists Journal Vol 43, no 5, Oct 1992. Malich A, Marx C, Facius M, Boehm T, Fleck M, Kaiser W. Tumor detection rate of a new commercially available computer -aided detection system. Eur Radiolo. 2001;11:2454-2459. Petrick N, Sahiner B, Chan H, Helvie M, Paquereault S, Hadjiiski L. Breast Cancer Detection: evaluation of a mass-detection algorith for computer-aided detection system. Experience in 263 patients. Radiology 2002;224:217-224. Strumpf EC, Chai Z, Kadiyala S Adherence to cancer screening guidelines across Canadian provinces: an observational study. BMC Cancer. 2010 Jun 18;10:304. Richardson, LC., Rim, SH., Plescia, M. Vital Signs: Breast Cancer Screening among Women Aged 50–74 Years — United States, 2008. Morbidity & Mortality Weekly Report. 2010;59(26):813-816. Coleman EA, Feuer EJ.Breast cancer screening among women from 65 to 74 years of age in 1987-88 and 1991. NCI Breast Cancer Screening Consortium. Ann Intern Med. 1992 Dec 1;117(11):961-6. Blanks RG, Wallis MG, Moss SM. A comparison of cancer detection rates achieved by breast cancer screening programmes by number of readers, for one and two view mammography: results from the UK National Health Service breast screening programme.J Med Screen. 1998;5(4):195-201. Yankaskas BC, Cleveland RJ, Schell MJ, Kozar R. Association of recall rates with sensitivity and positive predictive values of screening mammography. AJR Am J Roentgenol. 2001 Sep;177(3):543-9.